Over the last few years, ASOS has become one of the unavoidable brands of the internet age. If you don’t shop there yourself, you’ll know plenty of people who do, and their black and white packaging has become a ubiqitious site in workplaces and shared flats across the UK: it’s the Uber for clothes! The millennial Marks and Spencers! Every ASOS order originates in a sprawling warehouse near Barnsley in South Yorkshire, where 4,000 staff work around the clock to pick and package up £1.5 billion worth of flash sale impulse buys and next day deliveries into large containers carefully inspected on truck scales and sent out every year. 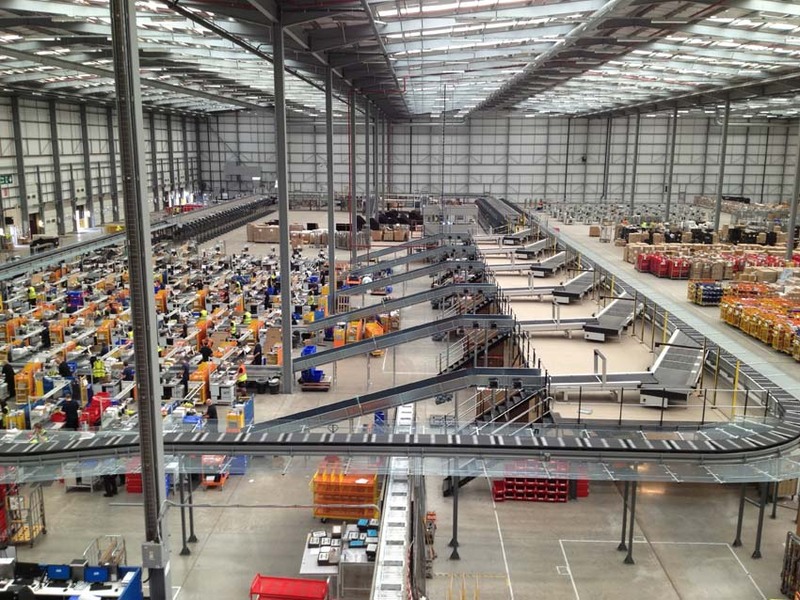 Since early 2015, the GMB union in South Yorkshire have been working tirelessly to try and organise the workers at the ASOS warehouse, the running of which is contracted to US freight company XPO Logistics. It’s no easy job: contracts are precarious and wages are low, many workers don’t have English as their first language, and targets are so impossible that workers skip toilet and water breaks. Like other big e-commerce warehouses, there’s a rapid turnover of staff and a reliance of short term agency contracts – a further challenge to organising. Yet the GMB have been making ground. Like Unite’s efforts at Sports Direct’s similarly massive warehouse in Derbyshire, they’ve been able to capitalise on the ASOS brand and shame them publicly in the media. Last year’s Buzzfeed investigation into working conditions at the warehouse racked up nearly 650,000 views, revealing allegations of “exploitative contracts, an overbearing security regime and stressed workers”. Similar stories have been run by VICE, Channel 4’s Dispatches and even MailOnline. The GMB have featured prominently in this coverage, which is no surprise when they are responsible for bringing much of it to light. But their efforts have been about more than just PR. From leafleting at 5am shift changes, buying a billboard outside the warehouse gates and taking up the everyday concerns of staff, they’ve poured time and resources into trying to build the union at the site and make working conditions more bearable for its huge workforce. There’s been concrete wins too: a climbdown on an additional 300 security cameras proposed by XPO, an end to same day “flex” (like flexi-time, except XPO decide when you’re going to work the hours back, often at short notice) and installation of a new cooling system. All of this was achieved in the face of a hostile management and in the absence of formal bargaining powers. So no one was more surprised than the GMB when, on Monday, the trade press began reporting that XPO had struck a deal for union recognition at two of their warehouses, including the ASOS site near Barnsley. There was, however, one problem: the union which had been recognised was not the GMB. Step in Community, a tiny union of 30,000 members which was formed in 2004 from a former steelworkers’ union and a few other small groups. It’s first new member after this merger was – symbolically – the then Chancellor, Gordon Brown, and it has continued in much the same vein since. It’s the favoured “trade union” front group for young Labour careerists and Blairite MPs, who relish in the idea that because in they’re in the same union that represents some salt of the earth steelworkers, it puts them beyond criticism. But whenever there’s an argument, a dispute or a leadership election within the Labour party, you can be sure that Community will be pouring money into the wrong side of it, from David Miliband to Jim Murphy to Better Together. They also, naturally, enjoy close links with the main grouping of the Labour right, Progress. Monday saw Community announce that they had secured union recognition at two XPO sites. In a letter to staff from an XPO director, they were informed that they were all set to be auto-enrolled into the union’s membership, with the first six months free. “We are aligned with Community’s approach as it reflects our values and beliefs”, he noted. 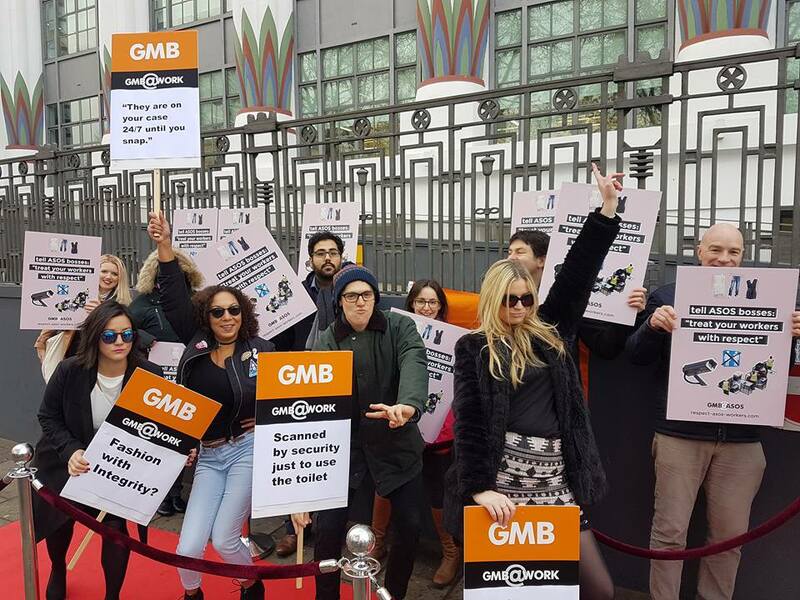 The GMB – who say they have hundreds of members in ASOS – have reacted furiously, accusing Community of handing the firm a “get out of jail card” just two days ahead of their CEO being hauled before the House of Commons Human Rights Committee. There is no indication that Community had any presence at ASOS ahead of this week. “GMB represents hundreds of ASOS workers, we’ve been on the gates day in day out and have already forced the company to change some of its appalling employment practices. It’s been a high profile campaign on the ground and in the press, exposing what’s wrong at ASOS, I’m not surprised they want us to go away. Unfortunately for ASOS that’s not how it works. That Community are behaving more like bosses’ lackeys than a union is probably why the company has carved up this nice little deal to give themselves some cover. Community has turned up for the first time today and is literally having to give away membership – that says it all. So there we have it. Community are an embarassment to the trade union movement. 1. It’s an opt-out rather than opt-in system. After six months workers will be paying for something they never explicitly agreed to. 2. It suggests a ‘closed shop’ of the kind that our very restrictive union legislation has not permitted since the Thatcher years. Have the GMB stated yet whether their lawyers are investigating action on either ground?